What Does Isaiah 45:22 Mean? Israel were God's chosen people, to whom belongs the adoption as sons, the glory of God and His covenants. 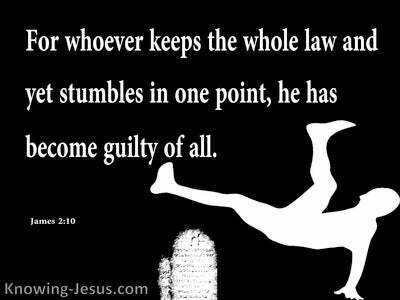 To them was give the Law, the temple service and His precious promises. And through this special nation.. was to be born the Messiah, Who would save His people from their sin and bring in everlasting righteousness for all people. As God's chosen nation, they were to tell the good news of the Saviour, to a lost and dying world. They were to be a light to the gentiles, and to show the glory of God to the pagan nations. But Israel refused to obey His command. They broke their covenant with Him and became an apostate and rebellious nation, who were corrupted by their heathen neighbours. But God in His grace never forgot His plan of redemption, which was to be fulfilled, through Abraham, David and the nation of Israel. He never foreclosed on His plan to redeem mankind - for God loved the whole world that He created. 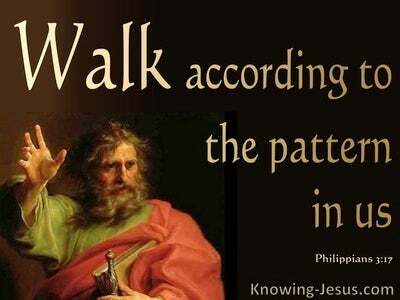 And in this passage, the Lord Himself, urges the gentile nations to come to Him for salvation.. to believe on Him for redemption - and to confess His holy name. Gather yourselves and come, He urges them. The Lord Himself calls on them to renounce their lifeless idols and draw near to the living God. Is it not I, the LORD? 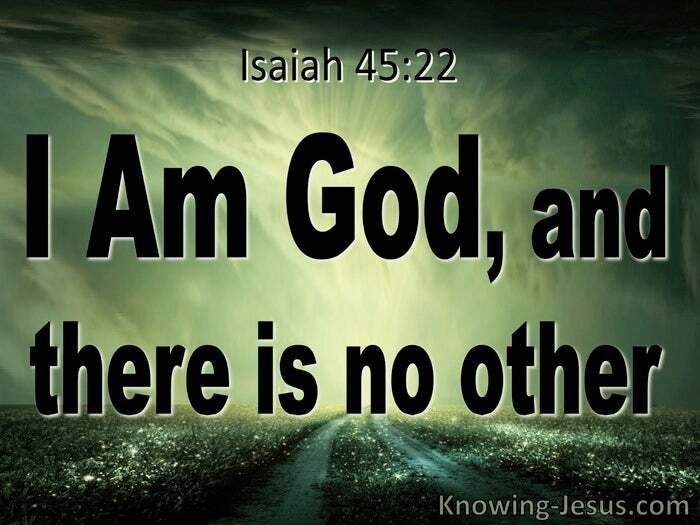 There is no other God besides Me, He entreats them, I am a righteous God and a Saviour. There is none except Me. 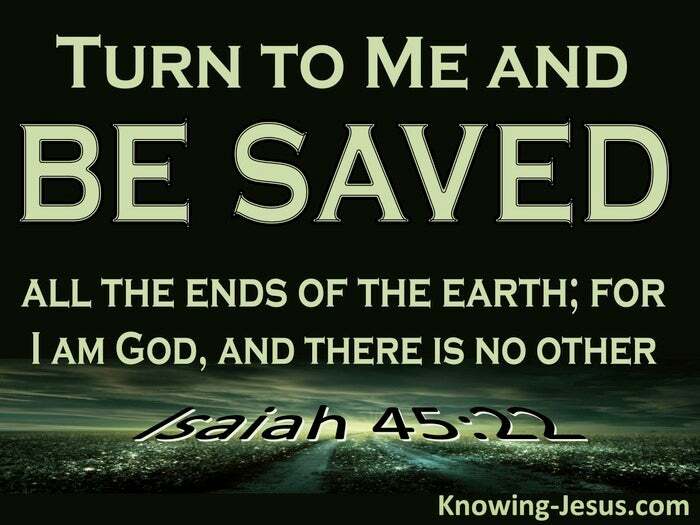 Turn to Me and be saved, all the ends of the earth; for I am God, and there is no other. There is an urgency and a sense of pathos in His pleading, in this passage. Turn to Me and be saved, all the ends of the earth, was His gracious appeal to the Gentiles through Isaiah - I am God, and there is no other. 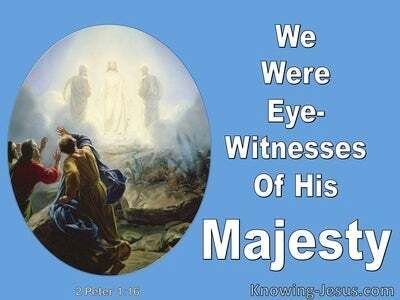 The Lord earnestly implored the Gentiles, who were dead in their sin, to turn from their false idols and look to Him. 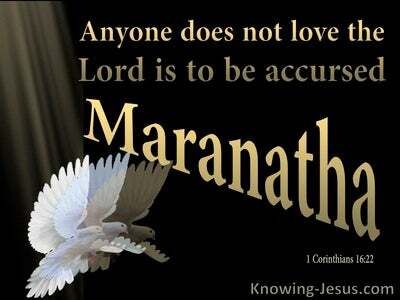 He pleads for them to avoid the approaching destruction and to acknowledge Him as sovereign Lord of all. This passage, which speaks of salvation, will one day be fulfilled in the millennial kingdom of Christ, following the seven-year tribulation period - which is that 'time of Jacob's Trouble', when God's wrath will be poured out on an unbelieving world, which has rejected His many calls to repentance.. through various prophets of Israel, and through the Christian Church, who invite ALL - to COME, drink of the living water of life - and be saved. The coming tribulation period is a time when God purposes to draw His straying nation back to Himself, so that He can bless them as He longs to do. It is a time when all who call on the name of the Lord, will be saved. God is indeed long-suffering and of great goodness, but the day is getting closer when every knee will bow down to the Lord, and every tongue will give praise to God - for at the name of Jesus every knee will bow - of those who are in heaven and on earth and under the earth, and every tongue will confess that Jesus Christ is Lord, to the glory of God the Father. There is an increasing urgency to spread abroad the gospel of salvation to ALL who are dead in their sins, so that they may turn to the Lord and be saved - for the Lord has spoken. Turn to Me and be saved, all the ends of the earth, for I am God, and there is no other.